Direct Burial airline is kink resistant & still fairly flexible. Can be buried underground and is used when placing your compressor away from the shore. 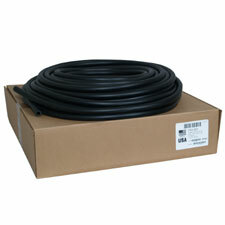 All aeration kits are shipped with ProAir Standard 3/8" tubing. When the distance between compressor and any one diffuser is greater than 300 feet, the larger tubing 5/8" is required.